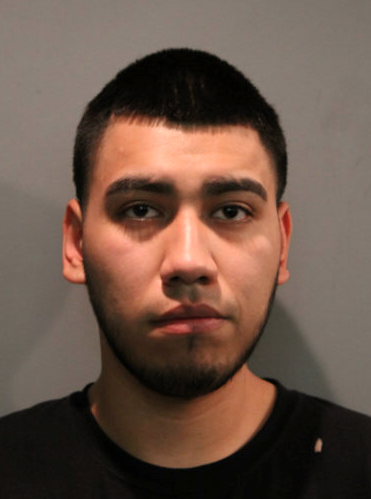 with first-degree murder in the slaying of a 23-year-old Gage Park woman earlier this month. According to details released by CPD at 3:58 a.m. today, Giovanni Garcia, of the 4700 block of South Kedvale, allegedly shot Lauren Membreno, of the 5300 block of South Spaulding, in the head as she sat in the front passenger seat of a vehicle parked in the 5500 block of South Karlov at about 7 p.m. Friday, April 8. She died of her injury at 5:37 p.m. the following day at Mount Sinai Hospital. Witnesses told police that another vehicle pulled alongside the vehicle in which Membreno sat, and a person opened fire. 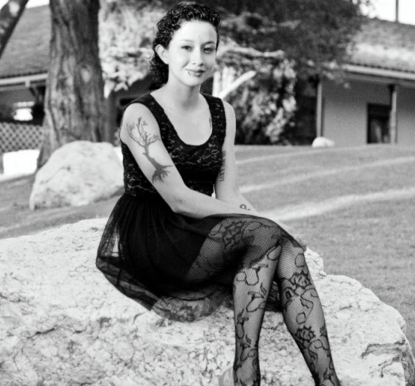 Police said that they do not believe that Membreno was the intended target of the shooter, according to a published report, which added that her boyfriend, sitting in the driver's seat, may have been the target. On Membreno's Facebook page, she identified herself as a shift supervisor at a Wendy's restaurant, as well as a graffiti tagger. A prayer service was held for Membreno earlier this month at Our Lady of Tepeyac Church, 3047 W. Cermak. 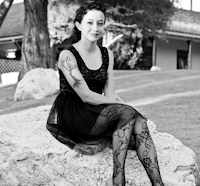 She was a graduate of Our Lady of Tepeyac High School, according to a published account. A GoFundMe online page set up to raise money to pay for funeral expenses has generated $2,665 from 57 people, with a goal of $5,000. Police did not release any other information about Garcia or the crime. 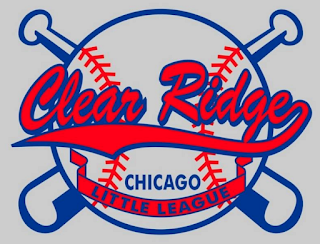 One of the surest signs of spring in Archer Heights and West Elsdon is the Archer Manor Little League Opening Day Parade. Splitting our time between three Little League parades today on the Southwest Side, we were on hand briefly to capture a few images from the start of the parade, as boys and girls, moms and dads celebrated on Saturday, April 23 in and around Archer Park. The weather was mild and the sun peeked around a few clouds--a hint of warmer days ahead for our local boys and girls, as well as moms and dads, grandmas and grandpas, and everyone else who enjoys baseball and softball in around Archer Heights and West Elsdon, two of Chicago's best neighborhoods to be a kid. 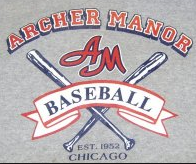 We wish all Archer Manor players, coaches, managers, parents and grandparents a season filled with fun and good sportsmanship. 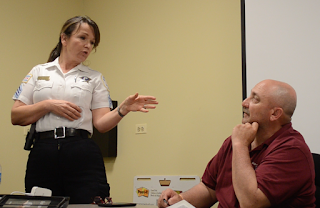 accompanied by blooms of unwanted dandelions, so too is the joy over mild weather tempered with concern over the seasonal resurgence of petty crime, members of the Garfield Ridge Neighborhood Watch said earlier this week. 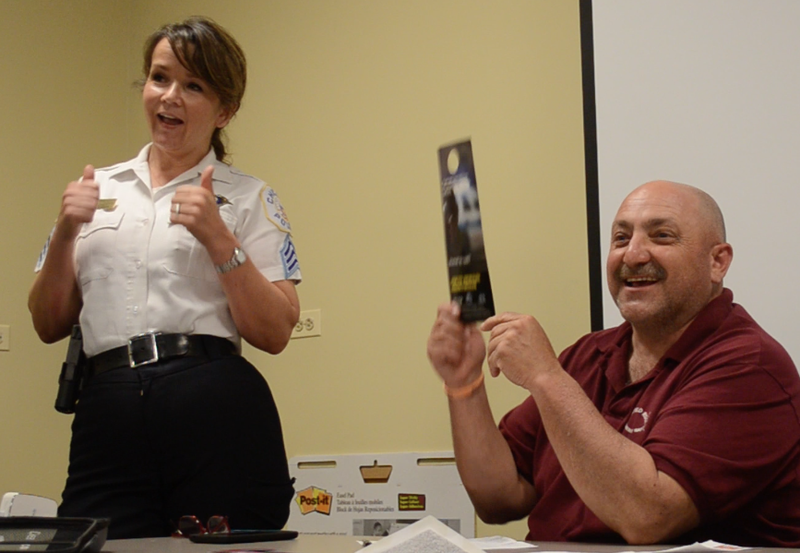 “As we move forward into spring and enjoy the outdoors, we should remember a few things to make sure that our neighborhood remains what it is—a place where crime is relatively low and the quality of life is high,” said GRNW President Al Cacciottolo. The admonition came at the GRNW’s monthly meeting, held Monday night at the TCF Bank branch at 6141 S. Archer. About 50 men and women, mostly GRNW members, attended. The return of warm weather means the return of what many in Garfield Ridge consider a seasonal nuisance, judging by comments at neighborhood meetings in recent years: men walking up and down local alleys and taping advertising leaflets to garage door frames. The leaflets typically tout the services of small home-improvement contractors. “These guys use tape, and often when you remove the flyer, your garage’s paint comes off with it,” Cacciottolo said, adding that some of the men in years past were found to be casing back yards and returning later to steal grills, patio furniture and other belongings. 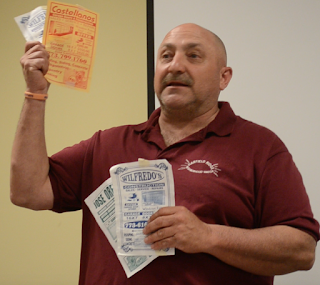 In his position as 23rd Ward superintendent for the Chicago Department of Streets and Sanitation, Cacciottolo said he helps enforce a city ordinance that calls for fines and even arrests of those taping leaflets to private property. Cacciottolo added that he has drafted students from Kennedy High School to help pull the leaflets down. CPD CAPS Sergeant Randi O’Carroll, at the meeting as an invited speaker, added—in response to a question—that people who see men taping leaflets to garages should call 911 immediately and give an accurate description of the worker, including location and in what direction he is walking. Garfield Ridge residents are also invited to call the GRNW’s toll-free tip line at 1-855-811-TIPS. • Drag racing and loitering on Archer Avenue. GRNW members advised everyone to pay special attention to Dunkin’ Donuts and 7-Eleven, which some said can attract loiterers and drag racers. • Teenagers hanging out at The Pit, an area along the Belt Railway tracks immediately south of Valley Forge Park, 7001 W. 59th St. Those who see anyone trespassing on railroad property are encouraged to call 911 immediately, and then Belt Railway police at (312) 543-8269 from 6 a.m. to 6 p.m. and (312) 543-3658 at all other hours. Also at Monday’s meeting, GRNW board member Arlene White said the group’s Sell-A-Bration is set for 8 a.m. to 2 p.m. Saturday, May 21 at Kennedy High School’s west parking lot, near 56th and Narragansett. The popular event is essentially a community garage sale. Those who want to reserve a space for a nominal fee should call (773) 229-1993 or visit garfieldridgenw.com. 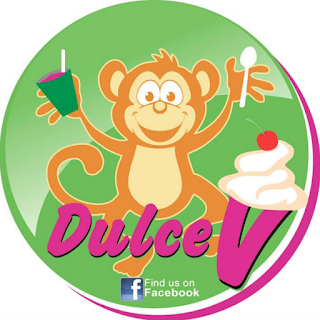 This year, vendors (such as Avon, Tupperware and more) are invited to be a part of the mix. Volunteers are also needed to promote the event, as well as staff it. Proceeds from the event will be earmarked for several charitable endeavors. 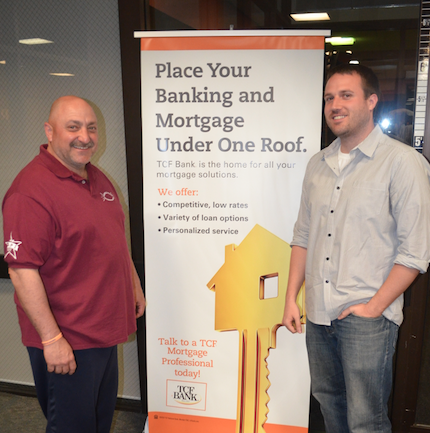 Cacciottolo and others thanked TCF Bank Branch Manager Sean McBrien for his hospitality and providing a meeting room that was clean and air conditioned on an unseasonably warm evening. McBrien said his goal is for the branch to become more involved in the neighborhood in the weeks and months ahead. 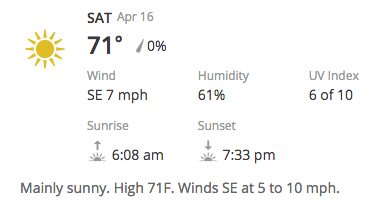 The next GRNW meeting is set for 7 p.m. Monday, May 16 at a location to be announced. 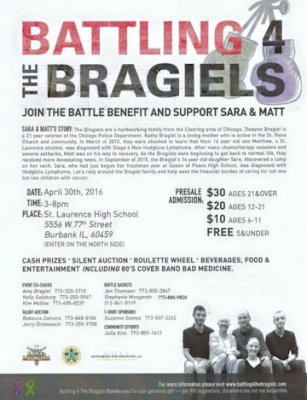 Battling 4 the Bragiels Set for April 30; Big, Fun Fundraiser--Buy Your Tix Now! a Clearing brother and sister battling cancer, will culminate in a big fundraiser later this month at St. Laurence High School. Battling 4 the Bragiels is set for 3 to 8 p.m. Saturday, April 30 at the school, 77th and Central, Burbank. The event will essentially be a blow-out style party to celebrate the teens’ successes in their ongoing fight against cancer and raise funds to offset medical bills and other expenses. All are invited, organizers say. Food and beverages will be available. Entertainment will include a live performance by Bad Medicine, a 1980s cover band. Gambling that includes raffles and a roulette wheel will be part of the auction. Also, a silent auction will be held for a range of gift baskets, merchandise and services. Pre-sale admission tickets are available for $30 for adults age 21 and up, $20 for those age 12-21 and $10 for children age 6-11. Children age 5 and younger will be admitted free of charge. 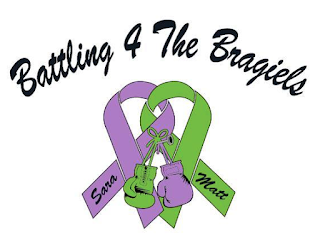 To purchase tickets or obtain more information, visit battling4thebragiels.com. The Bragiels and their struggle were profiled last year by the Southwest Chicago Post. What the Clearing community did for the Bragiel family in 2015—which continues into 2016—is nothing short of amazing, according to Dwayne Bragiel, an ordinary man overwhelmed by the extraordinary kindness by friends, neighbors and even total strangers. 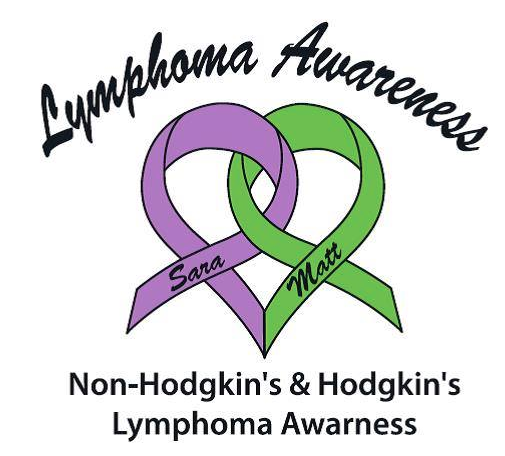 Tragedy struck the Bragiel family (Dwayne, his wife, Kathy, and their three children—Joe, Matt and Sara) early in 2015 when Matt—then a freshman at St. Laurence High School--was diagnosed with stage 4 Non-Hodgkin's lymphoma. 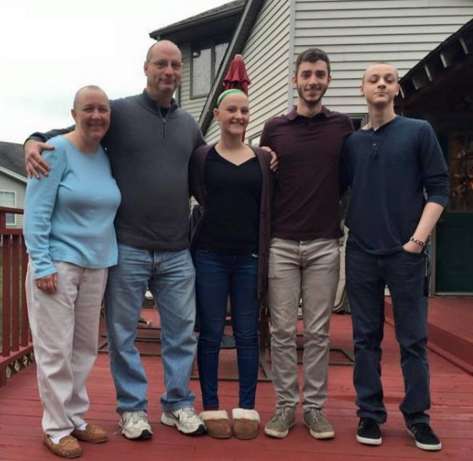 “Matthew has a long road ahead of him, as he will be in and out of the hospital for at least six to eight months, receiving one of the most aggressive chemotherapy treatments available,” read the grim news on a youcaring.com crowd funding website 11 months ago. “As you can understand, the medical costs that the family is incurring at this time are astronomical. As word spread, family, friends and neighbors in Clearing stepped forward to offer support: words, prayers, gifts, meals and more. 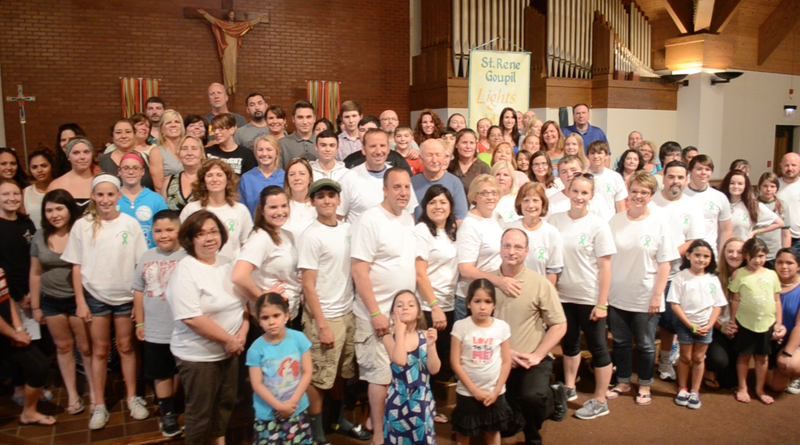 On a Tuesday evening last June, more than 100 men, women and children filled pews at St. Rene Goupil Church--all to pray for Matt Bragiel, a graduate of St. Rene School. Before the prayer service, in the church narthex, Dwayne said that his initial reaction to Matt's diagnosis and struggle was to simply "close our doors and windows and fight this fight ourselves"--a stoic reaction common to the regular joes from the Southwest Side, a place where people meet adversity head on, shoulders squared, as they plow forward through life. But as the clock counted down toward 7 p.m., the Bragiels learned that “ourselves” included a flood of people who walked into the church, some still in work clothes. 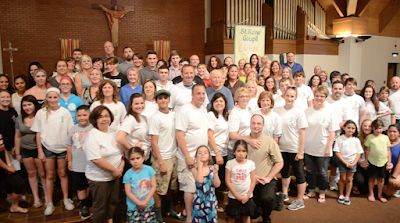 St. Rene moms and dads, and boys and girls were there in force. The principal of St. Laurence High School, Jim Muting, was there to show that the Vikings stand with Matt--as they have so often through the years with their students and families. Others from the neighborhood, a few total strangers even, were there to pray in word, in song and in silence, all for Matt and the Bragiel family. Dwayne acknowledged that he was overwhelmed by the kind-heartedness and generosity that has flowed forth in so many ways from so many different people. "When something like this happens, you always think it's supposed to happen to someone else---and it happened to us," he said from the St. Rene pulpit. "At first, I was selfishly asking God, 'Why me?' But then I thought about it and thought, 'Why him?' I'm 49 years old. I've been around the block a few times. 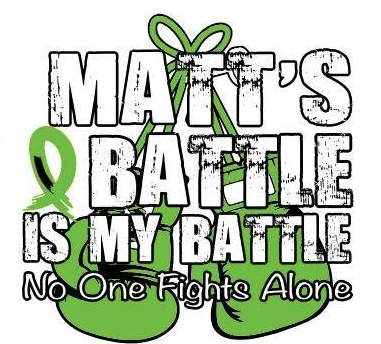 Matt didn't do anything to anyone to deserve what he's going through now." He added his thanks to everyone "for all the meals, the well wishes, the prayers, the phone calls, the texts, and so much more." Matt’s struggle in 2015 was long and hard. His battle included five cycles of chemotherapy. After the fifth cycle, he contracted three infections at his port site. He started feeling ill and was getting worse and worse. He asked to be taken to the hospital, where he was immediately sent to the intensive care unit. The director of the pediatric ICU, who was getting off duty, told the family afterwards she wasn't sure if Matt would make it. After Matt's blood pressure and heartbeat kept dipping lower and lower, and his body struggled to stay alive, the doctors decided to put him in a medically induced coma. The coma lasted 12 days. "You don't know what it's like to watch your child being so still, not moving," Dwayne said. Matt's stay in ICU lasted 28 days. When he finally came out of the coma, he had to learn how to walk again because his muscles atrophied. He went from a wheelchair, to a walker and finally back on his feet. "This was probably the roughest part," Dwayne said. Against the odds, Matt rallied. In recent months he has shown very encouraging signs of recovery. His hair is growing back, and according to his Dwayne, his son is “back to picking on his little sister, being a kid again and acting like himself." He is also goofing around with his older brother, Joseph, a sophomore in college. But just as Matt was finishing his treatment, tragedy struck again. She was looking forward to freshman year at Queen of Peace High School, where she had made the volleyball team. 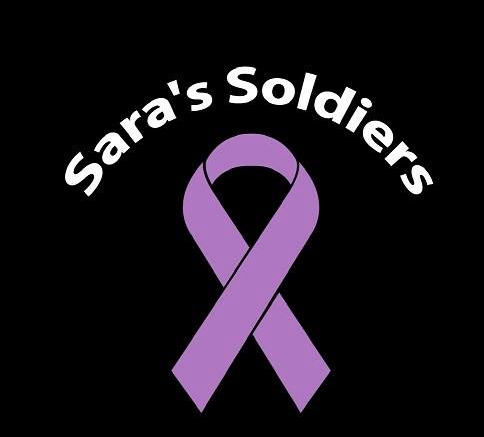 So Sara started several cycles of chemotherapy treatments. She lost all her hair after the first cycle, and her dad, mom and aunt all shaved their heads in a show of solidarity. Her spirits are high, Dwayne said. Through it all, Dwayne has been amazed by his Clearing neighbors, as well as co-workers and others. "I have no idea how I would have gotten this far without them," he said several months ago. "Neighbors are making us meals, and then there are the phone calls and prayers. Everybody here is on point. They ask me how everything is going. They contact me through Facebook or they text me. They’re amazing." "I thank God for two things,” said the man who once considered fighting the battle alone. “I thank God for my children's health coming back, and I thank God for all the people in our family's life." “Matt has a couple long term effects (one being selective amnesia regarding knowledge on how to clean his room); however, for the most part, he is doing well. He obtained his driver's license, applied for a job, returned to school and has joined the St. Laurence hockey team. The best part is, Matt is acting like a teenager again and his ability to make me laugh warms my heart. The downside is that Matt is now eating like a teenager, so if anyone has a truck with raw meat, feel free to dump it in his bedroom. Clearing is Clear Ridge Little League's Opening Day Parade. 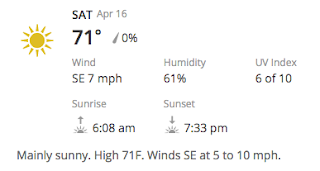 Earlier today, league officials told us that the parade will step off at 9:00 a.m. Saturday, April 16 at 65th and Oak Park, marching north on Oak Park to 63rd Street, then east to Narragansett, north on Narragansett to 61st, and then east to Hale Park. So stop what you're doing, head on over Clearing, line the parade route and cheer on the boys and girls from Clearing and Garfield Ridge! Here are a few photos the SWCP shot at the 2012 parade, the very first CRLL parade we covered as a news organization. Enjoy!